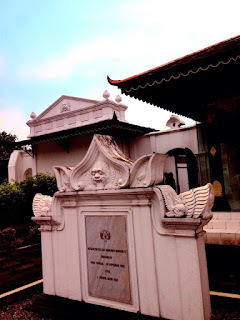 Yogjakarta, Java, Indonesia. 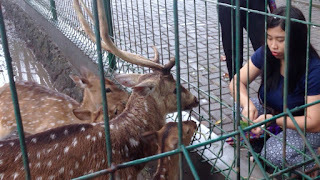 While a lot of my backpacker friends are in Bali and Jakarta, I visited my co-worker here in Yogyakarta. Often called "Jogja", this place may not be popular to a lot of people but it's worth the miles! 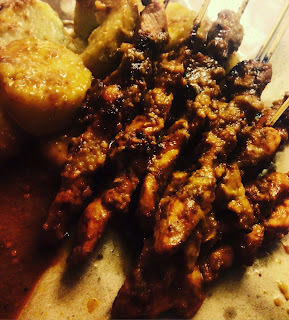 It's an hour away from Jakarta by plane, and it's a paradise of good food and interesting culture. Aside from my co-worker, my Couchsurfing family took care of me. Having local friends is the BEST way to budget everything. And they can help you bargain too! Surprisingly, the CS community in Jogja is super active! They'd be glad to tour you around the city anytime! Fig. 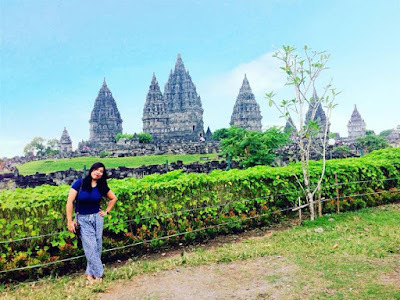 2: Early bird at Prambanan Temple! 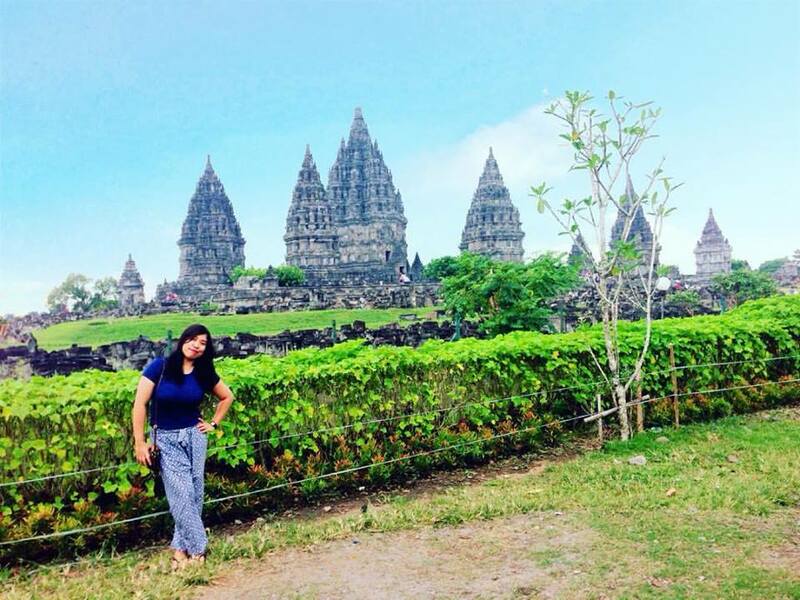 Be awed by the magnificent Hindu temple, listed as one of Indonesia's UNESCO World Heritage Sites, Candi Rara Jonggrang, or Candi Prambanan. 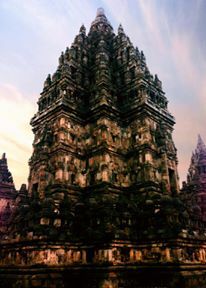 This was built during the 9th century for Trimutri - God is the "Creator" (Brahma), "Preserver" (Vishnu), and "Destroyer" (Shiva). If you didn't rent a motorcycle, you can ride the Transjogja to reach this place. Fig. 3: Climb up, enter and you'll see the gods inside. 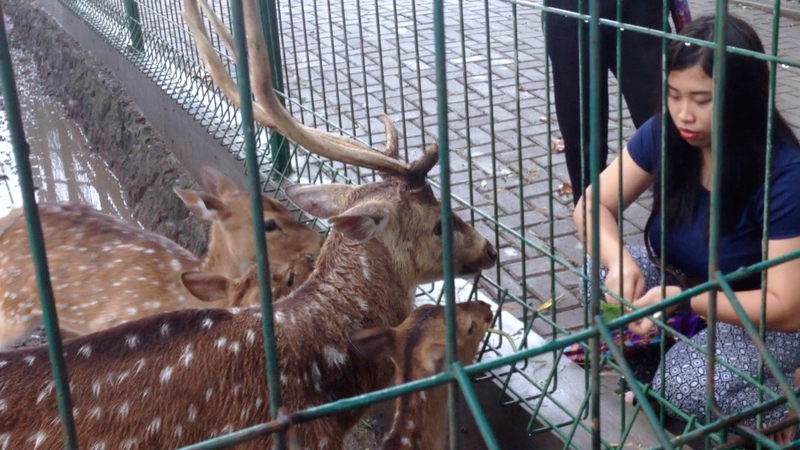 Aside from climbing the temple, you can also do archery and deer feeding in the area. The area has a museum and restaurant inside too. If you're lucky, you may witness cultural dances if there's an event. Originally, this was part of my bucket list. Sadly, it was raining cats and dogs when we planned to go here. 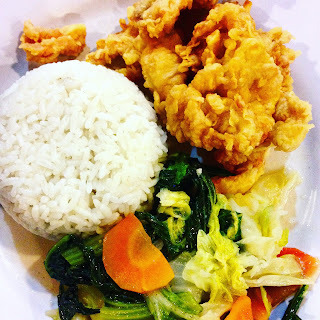 BUT, this is one of the main reasons why I will go back to Jogja! And oh, take note, this is an active volcano. I have a video which I took when I was on board going back to Jakarta. 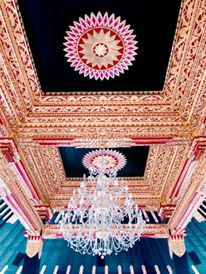 This used to be a palace for Sultans before, and believe it or not, it looks good as new! You will learn every single detail about Jogja's history here. 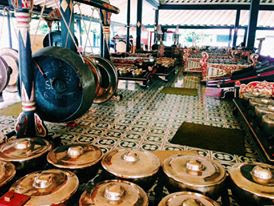 You will also witness cultural songs and dances as you enter. There are a lot of souvenirs sold outside the palace. But the best part is trying your luck between two gigantic Banyan trees. 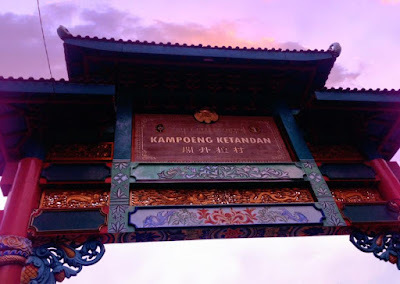 These are located South after Kraton, and myth says that if you are able to get past through it blindfolded, you will get whatever you are wishing for. Fig. 6: This is real gold! 4. Jalan Maliaboro and Pasar Beringharjo Shopping! Fig. 8: It's shopping time! 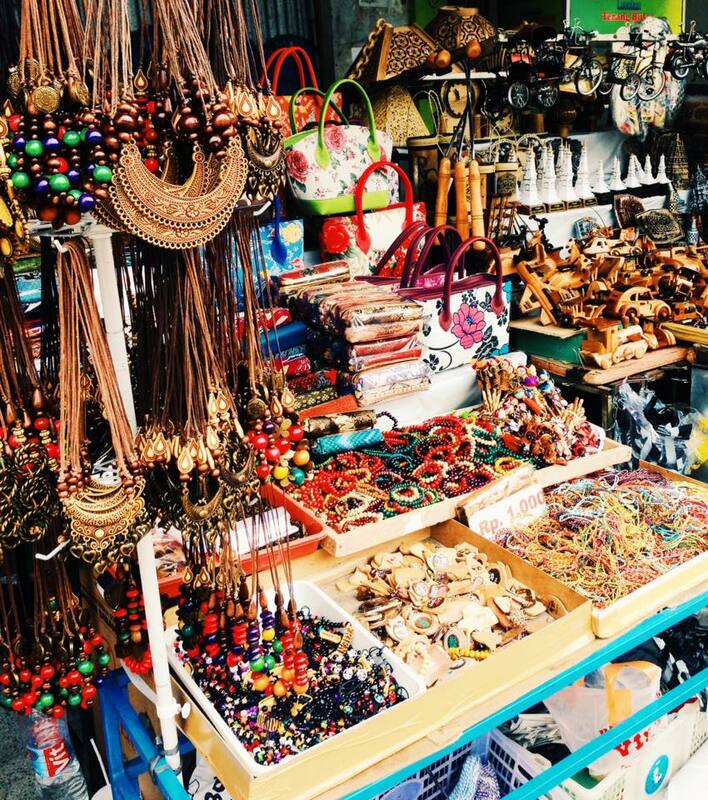 You don't want to go home without shopping for Batik! 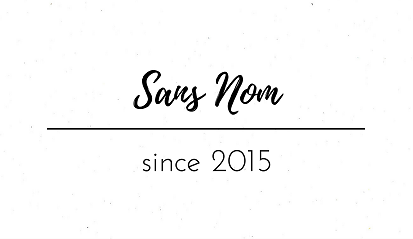 Aside from pants, tops, and other fancy clothes available here, you will surely fancy the affordable jewelries and home decorations that they have! This is where your local friends come handy! Bargaining!!! Fig. 9: Words aren't enough to describe these! And when you travel, you don't just explore places, you also taste the local food! Indonesia has a lot to offer and will surely give you a gastronomic experience! You will never regret tasting their dishes. Special thanks to Jed Resurreccion, and of course, to my Couchsurfing sisters, Mareta Yolanda and Irani Kurniawati. Round trip flights from Jakarta going to Yogyakarta is around 3,000 Php/60 USD/ Rp 802, 800 above depending on availability. Hotels are affordable too (just in case you don't have a host family). For transportation, you can rely on Uber Motor or Grab Motor. And oh, Go-Jek is there too! (did not know that even your masseuse can be fetched by Go-Jek!). Traffic is a bit heavy in the city so I don't advise you to take a taxi. Pocket money I spent is less than 2,500 Php (including my transportation, food, clothes, gifts, Jakarta side trip and all my souvenirs). 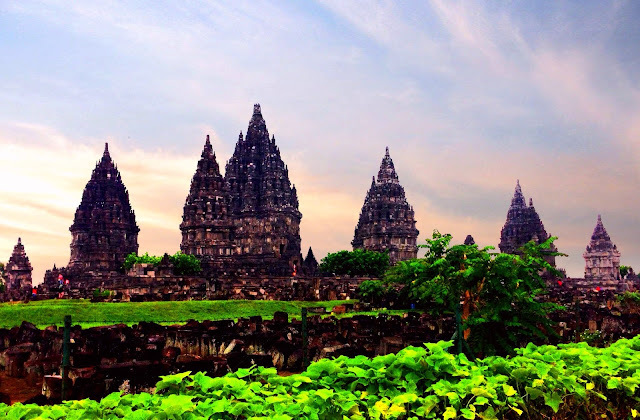 Indonesia has a low cost of living and is recommended for budget travelers. Happy traveling!